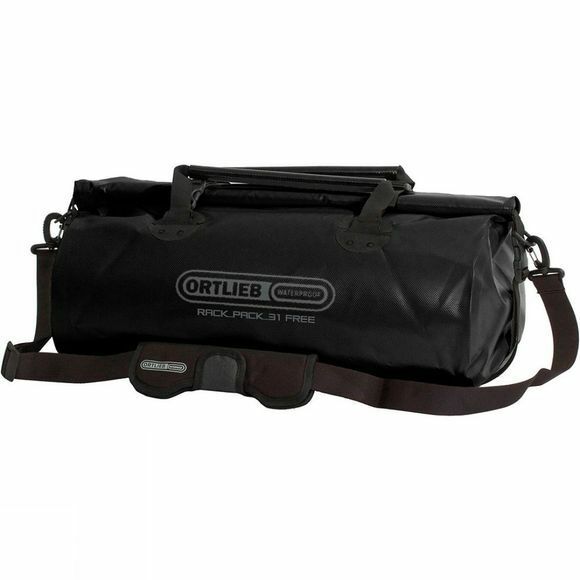 The ORTLIEB Rack-Pack is a versatile travel and sports duffle bag which can be used for many different applications in sports, travelling, hobby or touring. The longitudinal roll closure with its wide and large opening allows fast access to the bag’s contents, and protects your gear from water and dust in the well-known ORTLIEB way. The Rack-Pack is the right choice for long trips or shopping tours–the roll closure allows individual adjustment to volume and contents. The limits of a suitcase are unknown to the Rack-Pack. The padded, removable shoulder strap and comfortable carrying handles make it easy to handle.